This web page is dedicated to all A.S.L.E.F. members who have worked at Midhurst depot over the years, and it features A.S.L.E.F. members who brought the trains of Midhurst to life. 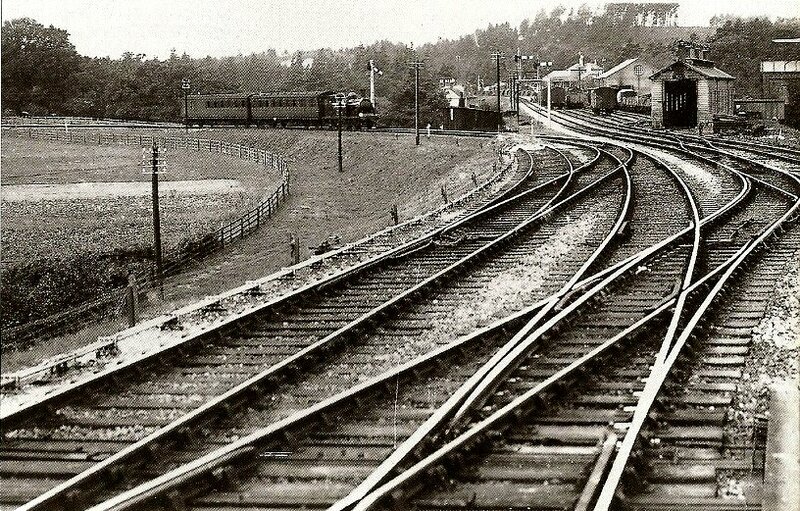 Midhurst had two railway companies each having their own station and locomotive Shed in the town. The first shed was opened on the 1st September 1864 by the London & South Western Railway (http://www.steamsheds.co.uk/pmwiki/index.php?n=Sheds.MIDHURSTLSWR). This shed was to replace the Petworth shed, which was built by the Mid-Sussex Railway and opened on 10th October 1859. The Petworth locomotive shed was closed on the 15th October 1866. With formation of the Southern railway in 1923 the L.S.W.R. 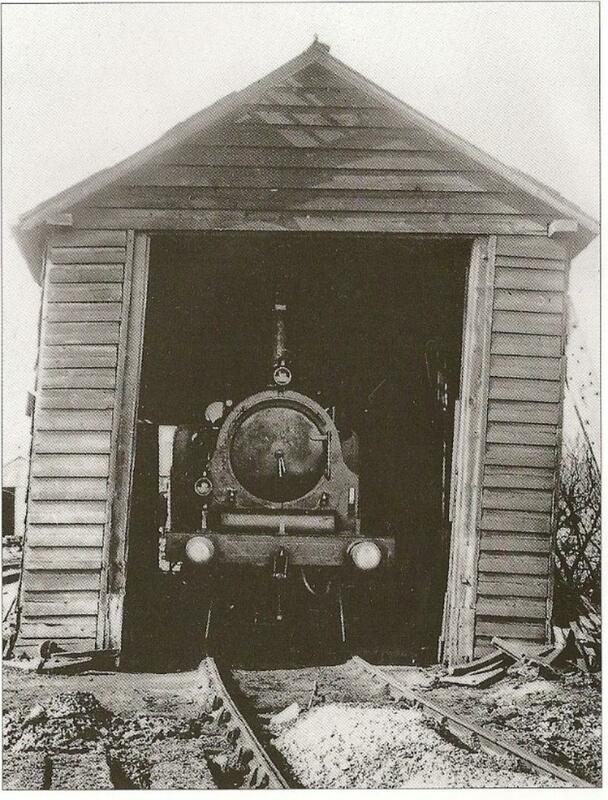 shed was closed in c12.7.1925 and the L.B.S.C.R. shed remained opened until c1955. There is no known Branch of A.S.L.E.F. at Midhurst steam shed(s). It is known that the shed had A.S.L.E.F. members prior to 1919, as the article below indicates. It is thought that the Horsham Branch would of incorporate Midhurst membership due to the shed being to small to warrant a Branch of its own. 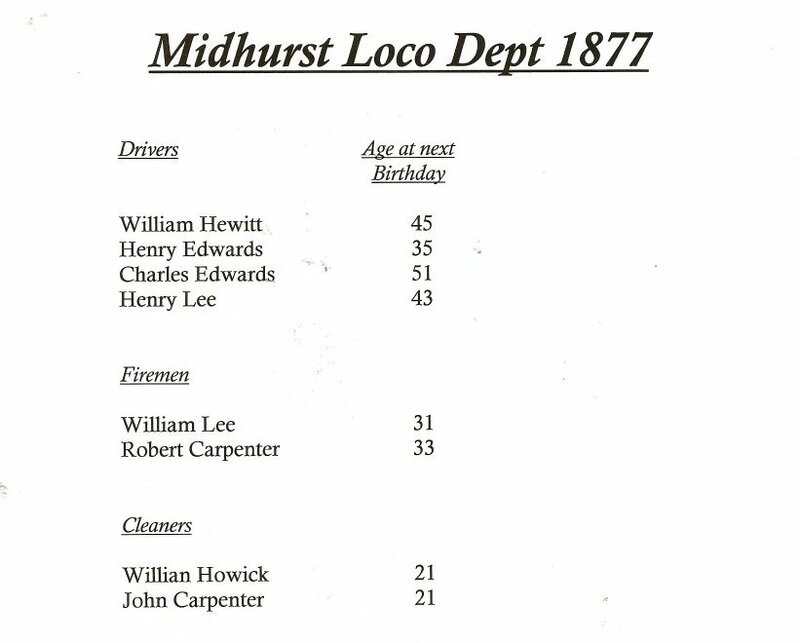 Above is a list of all the engine men that where employed at Midhurst Locomotive Department in 1877. It is not know if this is list was compiled in seniority order or not. However, the list does clearly indicates the difference in the ages of both drivers & fireman at that period of time. At the beginning of the century, the working of the locomotive depots at Littlehampton, Bognor, and Midhurst exhibit many interesting features directly traceable to mid -Victorian practice. 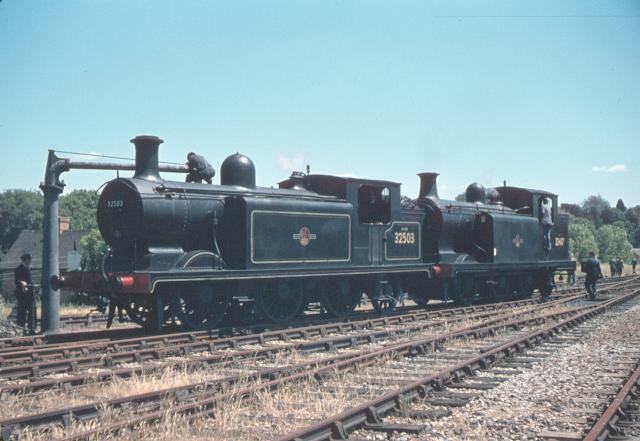 These depots were included in the Horsham Locomotive District; Midhurst and Littlehampton had four engines each, and Bognor two engines. 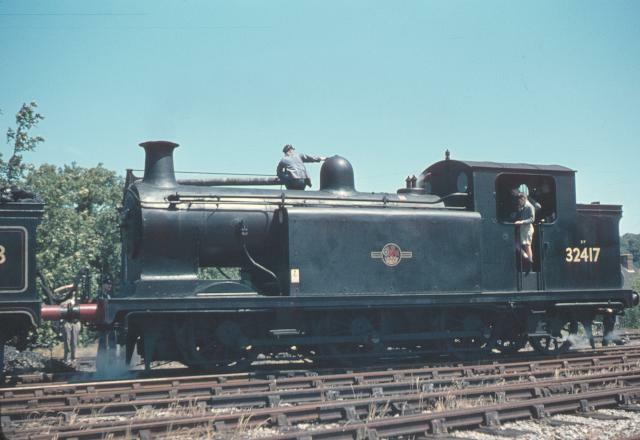 At least one engine at each shed was designates the “Branch Engine,” a relic of the practice established by John Chester Craven, Locomotive Superintendent of the L.B.S.C.R. from 1852 to 1869. The Locomotive Foreman at Horsham made a tour of his District on the last Wednesday of each month. 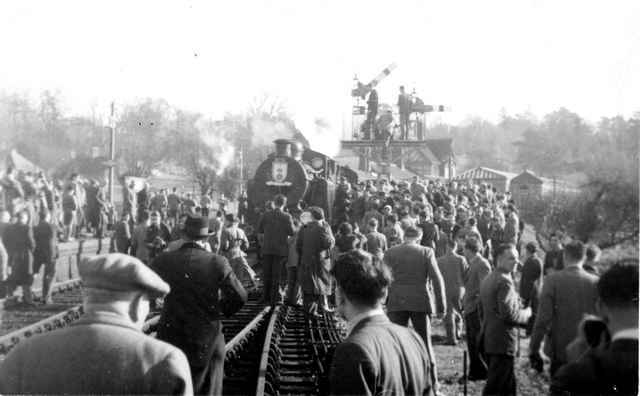 Leaving Horsham at 10.20 a.m. the circuit of inspection occupied no less than 7 1/2 hours, unless as sometimes happened, Bognor was omitted on a verbal assurance being given by the fitter in charge at Littlehampton that “they were all right there”; this reduced the time by 2 1/2 hours. The choice of the day was a relic of the past; it had been originated with an old instruction which held the foreman personally responsible for certifying that the reserve coal stack had not vanished in whole or in part, and that the oil stock was according to the books, and had not been diverted to other purposes. Occasionally, on the second Wednesday of the month, the foreman paid a visit to Littlehampton only, but this was an exceptional measure of supervision. The reason for the choice of Wednesday was that on this day the Outdoor Locomotive Superintendent regularly visited the Chief Offices at London Bridge and therefore was not likely to descend upon Horsham, and find the Foreman absent. The immediate responsibility for these out-depots therefore rested upon the man in charge of the shed, and sol on as he was conscientious in the discharge of his in charge of the shed, and so long as he was conscientious in the discharge of his duties, everything worked satisfactorily. The standard of locomotive maintenance at these depots compared favourably with any other shed on the system, the mileage run between shop repairs averaging 65,000 in a period of about 2 3/4 years. The general arrangements were primitive by modern standards, but were suited to the conditions of railway working at that time. Variations of the standard engine workings, as diagrammed, were confined to local adjustment at the time of the annual revisions of the timetables, and at holiday times, when late running of the London - Portsmouth trains resulted in unscheduled trips on the Bognor and Littlehampton branches. 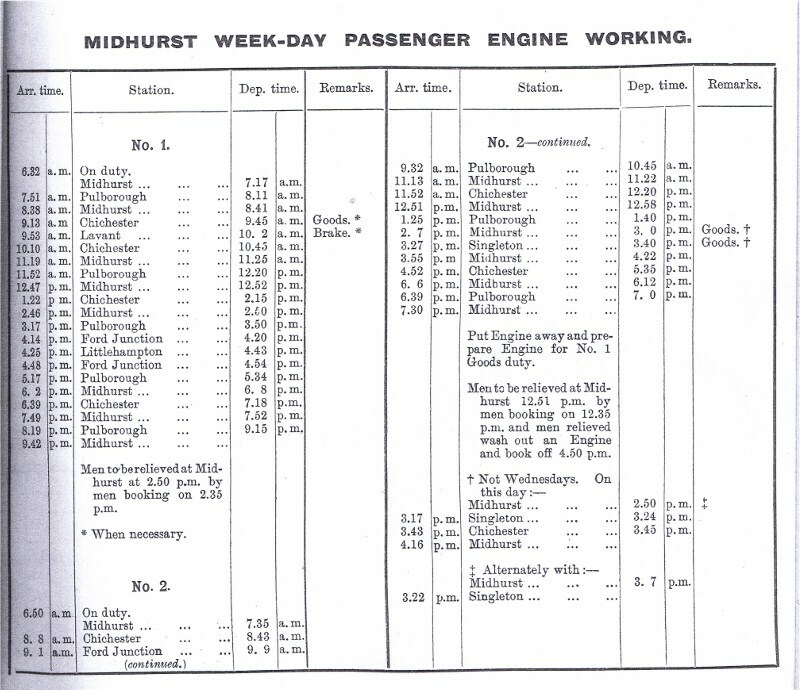 During the Goodwood Race period (the week before the August Bank Holiday) some slight adjustments were made to the train service on the Midhurst branch. 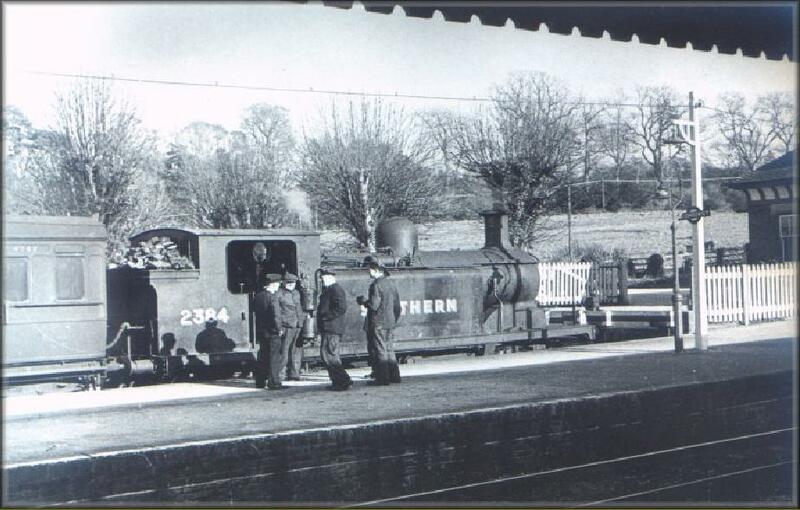 All clerical and administrative work was done at Horsham, as were repairs which could not be carried out by the fitter stationed at Littlehampton. The sole boilermaker visited the out depots if necessary, but such occasions were exceptional, engines being worked up to Horsham on suitable duties and charged over as required. Additional personnel, other than repairs staff, were provided from Horsham to cover sickness, leave, and other similar contingencies, as well as for special traffic requirements. Engine power for the latter was usually supplied from Horsham as well. In practice, if any member of the staff fell sick, provisional arrangements to cover his duties had to be made by the local man in charge of the depot until a substitute could be produced from Horsham, which ordinary was not until the following day. That life on the railway was much less strenuous for the fact that Horsham was not frequently troubled by such applications. When a vacancy at any of the four depots occurred, it was filled by the senior man in the junior grade in the district, unless he expressed his desire not to do so, in which case the offer went to the next senior and so on. At Littlehampton, the fitter was in charge, and during the daytime he usually was to be found there, except on Mondays and Wednesdays, when he visited Bognor and Midhurst respectively to carryout repairs to the engine stationed there. Having but ten engines to look after (a small number for those days) the post was considered to be an easy one, as it undoubtedly was if action was taken to forestall mechanical troubles. As Littlehampton possessed direct rail access from the Brighton, London and Portsmouth directions, it never partook of remote character associated with Bognor and Midhurst, and engines stationed there were more generally visible, as they havw a much less restricted range of operation. 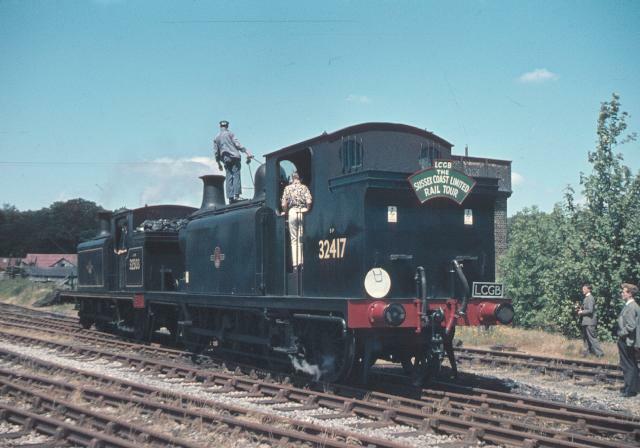 The Midhurst branch passenger service required two “Terrier” tank engines to be provided from that depot daily, a third engine being held as spare to cover washing out and repairs. It was not until after the turn of the century that the first “D” Class 0-4-2 tank arrived to displace one of the “Terriers.” Some few years elapsed before the “Terriers” finally disappeared from this shed. The goods engine worked a trip from Midhurst to Three Bridges every week night, but on Sunday mornings it arrived back somewhat earlier than on other days. The engine as washed out on Monday mornings. At one time this engine worked an occasional ballast trip from Midhurst to Beddington Lane (Croydon) and back during the daytime.Th shed administration was on similar lines to that at Bognor, except that the pump-man and not one of the drivers was in charge. 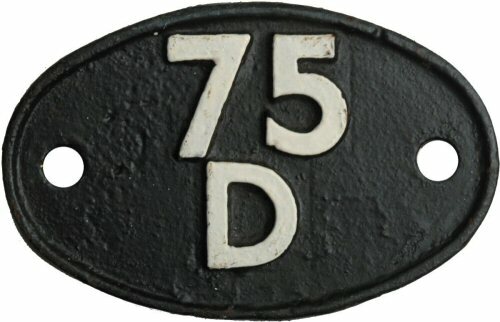 The replacement of the “Terrier” tanks by “D” Class 0-4-2s on the regular branch line duties was necessitated by the substitution of six wheel main line stock for the five coach four wheel sets previously used, which entailed an increase in the tare weight of nearly 90 per cent. per passenger. The change had been completed by 1906. * John Pelham Maitland, was a Loco Foreman at Newhaven & Littlehampton loco sheds. D Class Tank No. 239 ‘ atcham’ worked by Midhurst driver William Dale, came to grief on Friday 9th September 1904 between Cocking and Midhurst when, for no apparent reason, it left the rails, taking with it an open truck, box van and guards van. It was finally lifted back onto the rails two days later. An open meeting for drivers, firemen and cleaners was held at the Mission Hall Barrington Road, on Sunday, September 17th, at which Brother J. Payne, ex-chairman of our branch was elected to preside. After a few well chosen remarks, he referred to the Conciliation Scheme and recent delegations. He then called on Mr. Warwick our organizing secretary, who addressed the meeting for over an hour, to the greatest satisfaction to every one present. His subject was "The Conciliation Boards and the recent crisis." I was sorry we had not a larger attendance, but was pleased to see our representatives from Brighton, Portsmouth, Littlehampton and Midhurst. After the usual vote of thanks to the chairman and Mr. Warwick, we brought a very pleasant meeting to a close. This photo is looking west from Midhurst L.B.S.C.R. station in 1922. 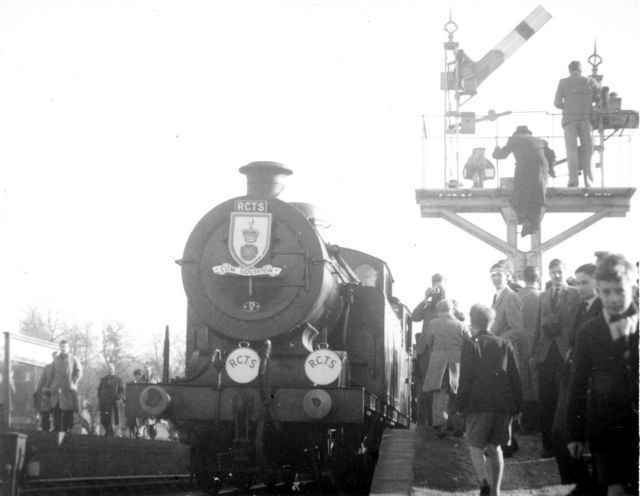 The scene shows a up Chichester train approaching Midhurst and is signalled into the L.S.W.R. station. In the background the photo shows the L.B.S.C.R. Midhurst goods shed, yard and the re-built (1907) Loco shed.